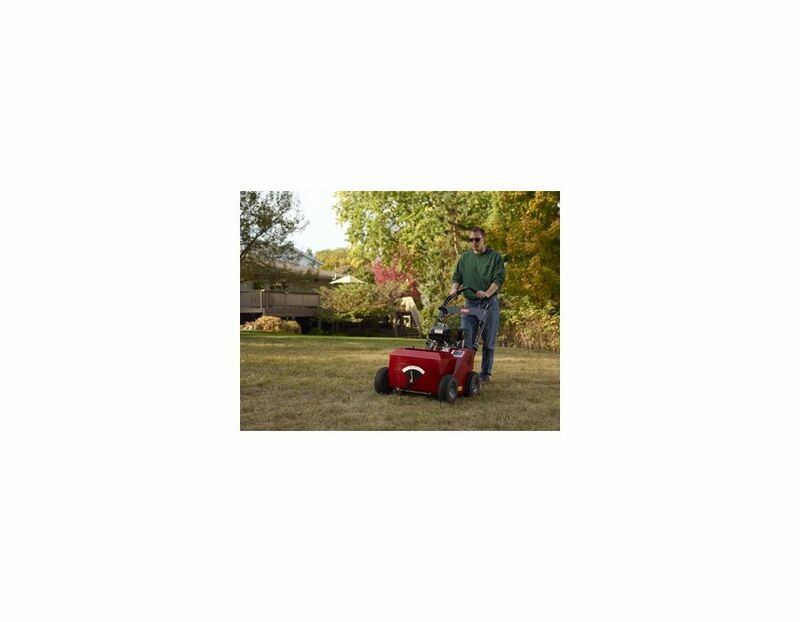 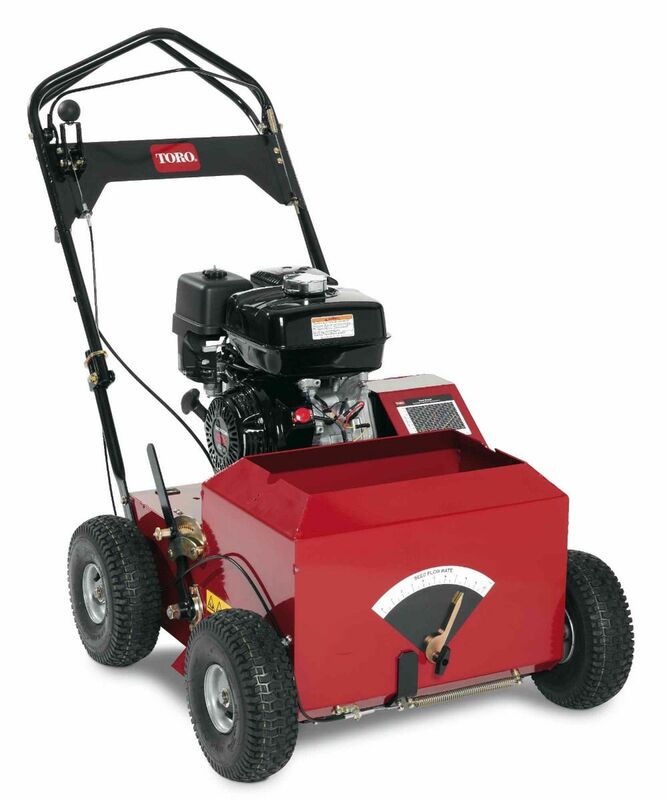 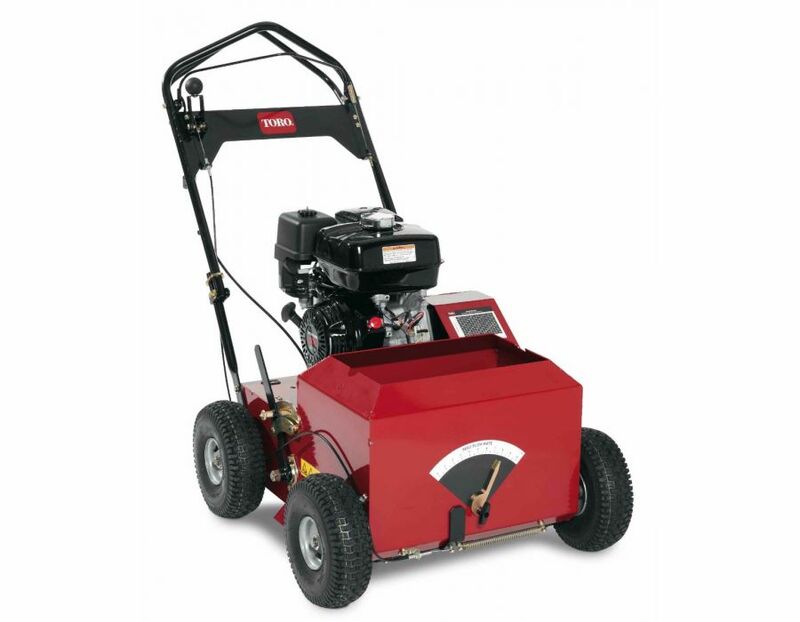 The Toro 20" slit seeder model 33510 is durable, light-weight and easy to use. 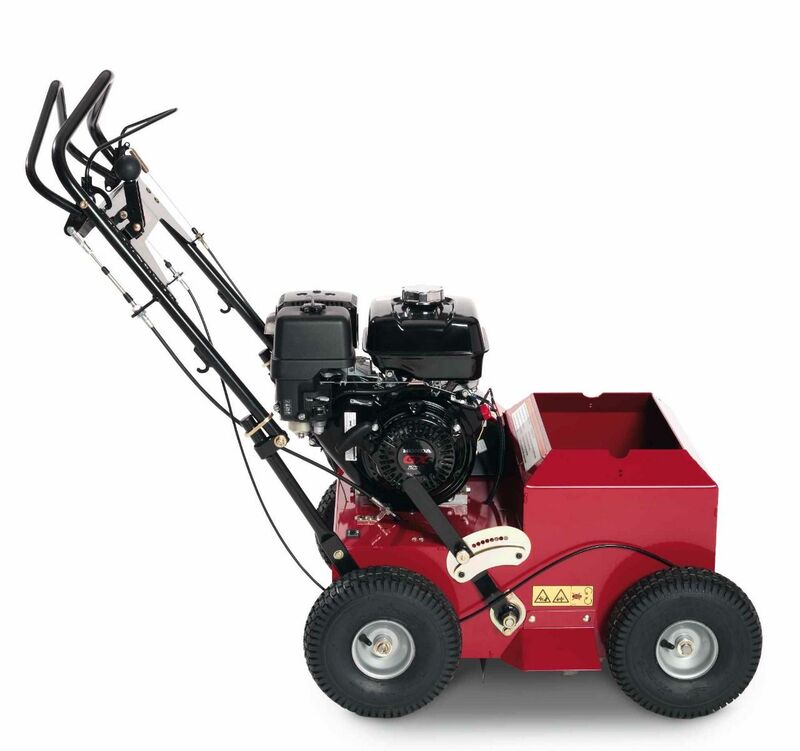 It handles like a push mower allowing operators to make tight turns, even on hills with only one hand! 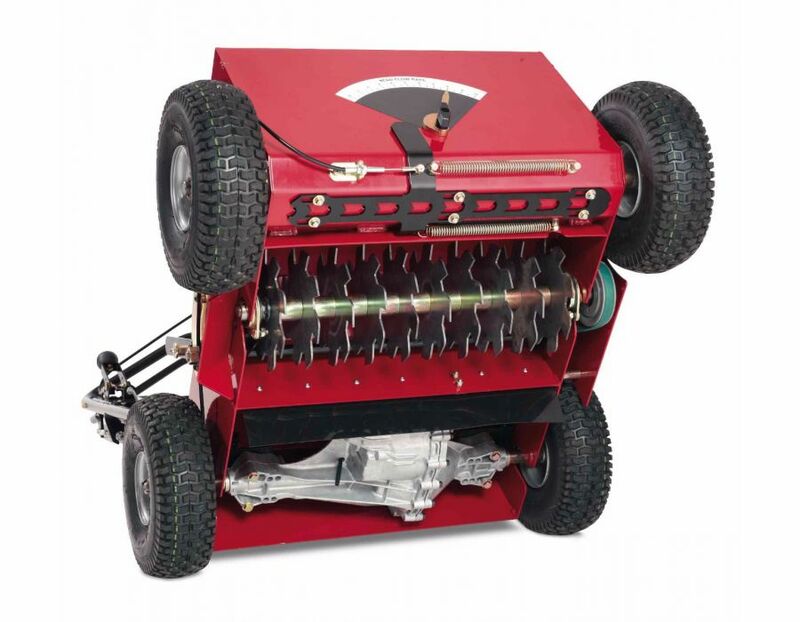 Features; 11-gauge steel for maximum durability, high-carbon blades (made of heat-treated spring steel that can handle abuse without chipping or bending), Large 40lb hopper capacity seed mixer (regulates seed delivery based on ground speed for an even application) and the variable speed drive system operates in forward and reverse. 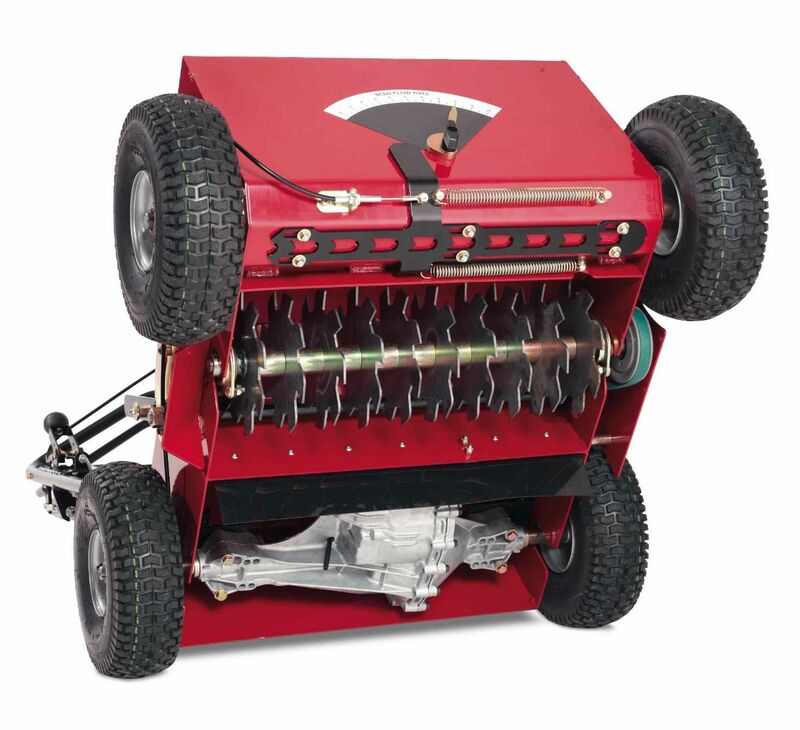 Seeding width of 20", overall width of 31.5", seeding depth up to 1". 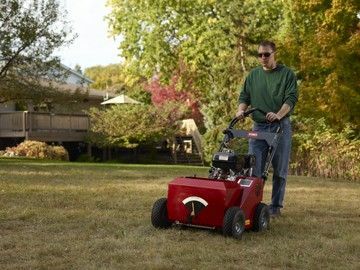 Weight: 260lbs. 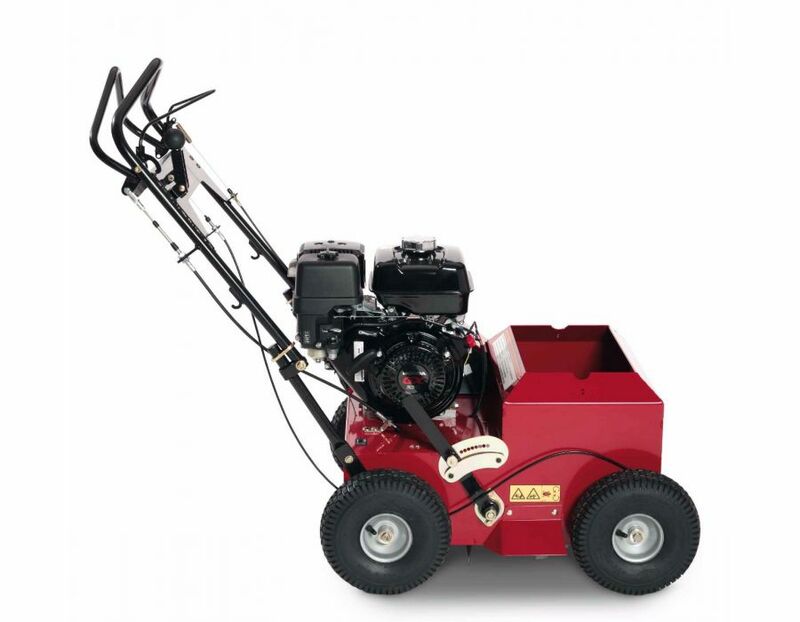 Find the Toro 20" slit seeder model 33510 at Kooy Brothers Equipment Ltd. located at 1919 Wilson Avenue in Toronto Ontario.